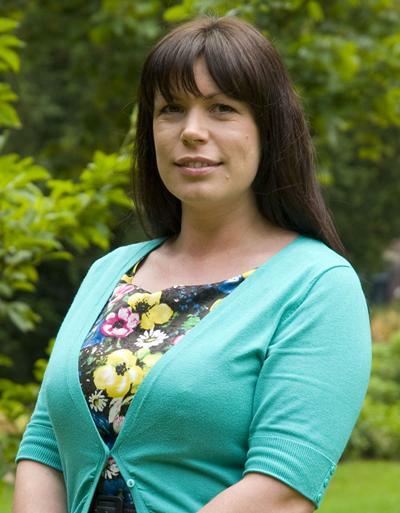 Teresa McGowan is Research Manager of the ESRC funded Centre for Population Change based in Social Statistics & Demography at the University of Southampton. Teresa has been working at the ESRC Centre for Population Change (CPC) since its creation in January 2009. In her role as Research Manager Teresa leads a team of knowledge exchange and communication professionals and research administrators. She is responsible for managing a scientific portfolio of research on demographic change, primarily focused on the United Kingdom with some cross-country comparative projects. Topics in her portfolio include fertility and family change, migration and mobility, intergenerational exchange and ageing, demographic estimation and forecasting and constitutional change. Teresa is Editor in Chief of the CPC Working Paper and Briefing Paper Series and liaison person to Population Europe, a network of over 40 European demographic institutes who aim to disseminate population research. Teresa has a special interest in knowledge mobilisation and improvement of demographic literacy. She has been involved in several projects to expand engagement with public and policy audiences, including an international demographic exhibition. Teresa previously worked as a Researcher on two ESRC funded projects aimed at enhancing the use of quantitative methods among undergraduates. She holds a degree in Demography and a Masters in Social Statistics. Teresa is currently studying for a Diploma in the Leadership of Research Management. Teresa’s research interests include the supply and demand of quantitative skills, Census and administrative data and communicating demographic data to lay audiences. Co-Investigator, ESRC Additional Knowledge Exchange Activity 2017, Improving public understanding of the implications of Brexit for migration and migrants. Co-Investigator, ESRC ISCF Additional Funding 2017, Demographic change in the era of Brexit – what does industry need to know? ESRC UK in a changing Europe Commissioning Fund 2016, Tales of migration: citizenship, benefits and identity in Brexit Britain. Engagement lead, ESRC UK in a changing Europe 2016, Understanding the drivers and consequences of population changes in the UK in the context of a changing Europe. Co-Investigator (Southampton), ESRC Knowledge Exchange scheme 2013, How to get to 100 and enjoy it exhibition UK. Co-Investigator, ESRC Festival of Social Science 2011, The world at 7 billion. Co-Investigator, ESRC Festival of Social Science 2010, Leaving home in the 21st Century: what does the future hold? 2011 Office for National Statistics (ONS) review of the methods of imputation used in the 2011 Census (with Professor Falkingham). 2010 Richard Taunton Sixth Form College, Southampton, report on local area population projections to 2024 (with Professors Falkingham and Padmadas). 2010 Joseph Rowntree Foundation (JRF) overview of existing knowledge on demographic issues, projections and trends in relation to older people with high support needs in the UK (with Professors Falkingham, Evandrou, Bowes and Bell). 2009 Joint Information Systems Committee (JISC) funded DISC-UK DataShare project, survey of data storage and sharing. Sabater, A., Graham, E., Nissa, F., & Mcgowan, T. (Ed.) (2018). (Un)Affordable housing and the residential separation of age groups. (ESRC Centre for Population Change Briefing; No. 45). Southampton: ESRC Centre for Population Change. Berrington, A., & Mcgowan, T. (Ed.) (2018). UK second generation young adults’ expectations for living together, marriage and parenthood’. (ESRC Centre for Population Change Briefing; No. 44). University of Southampton. Nightingale, G., McCollum, D., Nissa, F., Ernsten, A., & Mcgowan, T. (Ed.) (2017). Ethnic variations in internal migration in the UK, 2009-2015. (ESRC Centre for Population Change Briefing Papers; No. 38). Southampton: University of Southampton. Nightingale, G., McCollum, D., Ernsten, A., & Mcgowan, T. (Ed.) (2017). Who moves up the social ladder in the UK? (ESRC Centre for Population Change Briefing Paper Series; Vol. 39). Southampton: University of Southampton. Graham, E., Sabater, A., Fiori, F., & Mcgowan, T. (Ed.) (2016). Fertility change in the context of economic recession in Italy and Spain. (ESRC Centre for Population Change Briefing Papers; No. 36). Southampton, GB: ESRC Centre for Population Change. Bordone, V., Arpino, B., Rosina, A., & Mcgowan, T. (Ed.) (2016). Forever young? Prevalence and correlates of feeling old. (ESRC Centre for Population Change Briefing Papers; No. 37). Southampton, GB: ESRC Centre for Population Change. Perelli-Harris, B., Styrc, M., McGowan, T. (Ed. ), & Henderson, S. (Ed.) (2016). Is marriage or cohabitation better for mental well-being? (ESRC Centre for Population Change Briefing Papers; No. 32). Southampton, GB: University of Southampton. Moreh, C., Mcghee, D., Vlachantoni, A., & Mcgowan, T. (Ed.) (2016). Should I stay or should I go? Strategies of EU citizens living in the UK in the context of the EU referendum. (ESRC Centre for Population Change Briefing Papers; No. 35). Southampton, GB: ESRC Centre for Population Change. Berrington, A., & McGowan, T. (Ed.) (2015). Childlessness in the UK. (ESRC Centre for Population Change Working Papers; No. 69). Southampton, GB: ESRC Centre for Population Change. Berrington, A., Stone, J., Beaujouan, E., McGowan, T. (Ed. ), & Henderson, S. (Ed.) (2015). Educational differences in childbearing widen in Britain. (ESRC Centre for Population Change Briefing Papers; No. 29). Southampton, GB: ESRC Centre for Population Change. Bijak, J., Disney, G., Wisniowski, A., & McGowan, T. (Ed.) (2015). How to forecast international migration. (ESRC Centre for Population Change Briefing Papers; No. 28). Southampton, GB: ESRC Centre for Population Change. Sanchez Gassen, N., Perelli-Harris, B., & McGowan, T. (Ed.) (2015). The increase in cohabitation and the role of marital status in family policies: a comparison of 12 European countries. (ESRC Centre for Population Change Briefing Paper; No. 24). Southampton, GB: University of Southampton. Graham, E., Fiori, F., Feng, Z., McGowan, T. (Ed. ), & West, G. (Ed.) (2015). Who gets on to the property ladder in Scotland? Changing transitions to home ownership among young adults over two decades. (ESRC Centre for Population Change Working Papers; No. 26). Southampton, GB: ESRC Centre for Population Change. Berrington, A., Tammes, P., Roberts, S., McGowan, T. (Ed. ), & West, G. (Ed.) (2014). Economic precariousness and living in the parental home in the UK. (ESRC Centre for Population Change Briefing Paper; No. 23). Southampton, GB: University of Southampton. Roberts, S., Berrington, A., Tammes, P., McGowan, T. (Ed. ), & West, G. (Ed.) (2014). Educational aspirations among UK young teenagers: exploring the role of gender, class and ethnicity. (ESRC Centre for Population Change Briefing Paper; No. 21). Southampton, GB: University of Southampton. Wisniowski, A., Bijak, J., Shang, H. L., Dey, B. (Ed. ), & McGowan, T. (Ed.) (2014). Forecasting migration in Scotland: potential impact of independence on the future trends. (ESRC Centre for Population Change Briefing Paper Series; No. 16). Southampton, GB: ESRC Centre for Population Change. Tindal, S., McCollum, D., Bell, D., Dey, B. (Ed. ), & McGowan, T. (Ed.) (2014). Immigration policy and constitutional change: the perspective of Scottish employers. (ESRC Centre for Population Change Briefing Paper Series; No. 15). Southampton, GB: ESRC Centre for Population Change. Berrington, A., Tammes, P., Roberts, S., McGowan, T. (Ed. ), & West, G. (Ed.) (2014). Measuring economic precarity among UK youth during the recession. (ESRC Centre for Population Change Briefing Paper; No. 22). Southampton, GB: University of Southampton. Tindal, S., Wright, R., Findlay, A., Bell, D., & McGowan, T. (Ed.) (2013). European Union and international students in Scottish Higher Education Institutions. (ESRC Centre for Population Change Briefing Paper Series; No. 13). Southampton, GB: ESRC Centre for Population Change. McCollum, D., Findlay, A., Bell, D., Bijak, J., & McGowan, T. (Ed.) (2013). Patterns and perceptions of migration, is Scotland distinct from the rest of the UK? (ESRC Centre for Population Change Briefing Papers; No. 10). Southampton, GB: ESRC Centre for Population Change. Jamieson, L., Cunningham-Burley, S., Rawlins, E., & McGowan, T. (Ed.) (2012). Twenty + Futures. (ESRC Centre for Population Change Briefing Papers; No. 8). Southampton, GB: ESRC Centre for Population Change. Wilson, C., Williamson, L., & McGowan, T. (Ed.) (2011). The combined impact of fertility and migration on population in the UK. (ESRC Centre for Population Change Briefing Papers; No. 4). Southampton, GB: ESRC Centre for Population Change. Heath, S., Calvert, E., & McGowan, T. (Ed.) (2011). The role of family and friends in the housing pathways of single young adults. (ESRC Centre for Population Change Briefing Papers; No. 6). ESRC Centre for Population Change. McCollum, D., Findlay, A., & McGowan, T. (Ed.) (2011). Trends in East and Central European migration to the UK during recession. (ESRC Centre for Population Change Briefing Papers; No. 5). Southampton, GB: ESRC Centre for Population Change. Prazeres, L., Findlay, A., & Mcgowan, T. (Ed.) (2017). An audit of international student mobility to the UK. (ESRC Centre for Population Change Working Papers; No. 82). Southampton, GB: ESRC Centre for Population Change. Perelli-Harris, B., STYRC, MARTA. E., Addo, F., Hoherz, S., Lappegard, T., Sassler, S., ... Mcgowan, T. (Ed.) (2017). Comparing the benefits of cohabitation and marriage for health in mid-life: Is the relationship similar across countries? (ESRC Centre for Population Change Working Paper Series; No. 84). University of Southampton: ESRC Centre for Population Change. Stone, J., Berrington, A., & Mcgowan, T. (Ed.) (2017). Income, welfare, housing and the transition to higher order births in the UK. (ESRC Centre for Population Change Working Paper Series; No. 86). University of Southampton. Shapira, M., Gayle, V., Graham, E., & Mcgowan, T. (Ed.) (2017). Moving on and moving out: The implications of socio-spatial mobility for union stability. (ESRC Centre for Population Change Working Paper Series; Vol. 87). Southampton: University of Southampton. Olofsson, J., Sandow, E., Findlay, A., Malmberg, G., & Mcgowan, T. (Ed.) (2017). The importance of geographical scale in explaining return migration of young adults to the parental home and to the parental neighbourhood. (ESRC Centre for Population Change Working Paper Series; No. 85). University of Southampton: ESRC Centre for Population Change. Berrington, A., Stone, J., & Mcgowan, T. (Ed.) (2017). Understanding third and fourth births in Britain: What role do increased immigration and multiple partnerships play? (CPC working papers; No. 83). Southampton: ESRC Centre for Population Change. Berrington, A., Duta, A., Wakeling, P., & Mcgowan, T. (Ed.) (2017). Youth social citizenship and class inequalities in transitions to adulthood in the UK. (ESRC Centre for Population Change Working Papers; No. 81). Southampton, GB: ESRC Centre for Population Change. Gayle, V., Playford, C., Connelly, R., Murray, S., & McGowan, T. (Ed.) (2016). Between the NEET and the tidy - exploring 'middle' outcomes in Scottish school qualifications. (ESRC Centre for Population Change Working Papers; No. 76). Southampton, GB: University of Southampton. Graham, E., Sabater, A., & Mcgowan, T. (Ed.) (2016). Intergenerational exchanges, children's education and parents' longevity in Europe. (ESRC Centre for Population Change Working Papers; No. 77). Southampton, GB: ESRC Centre for Population Change. Perelli-Harris, B., Berrington, A., Sanchez Gassen, N., Galezewska, P., Holland, J., & Mcgowan, T. (Ed.) (2016). Is there a link between the divorce revolution and the cohabitation boom? (ESRC Centre for Population Change Working Papers; No. 80). Southampton, GB: ESRC Centre for Population Change. Mikolai, J., Lyons-Amos, M., & Mcgowan, T. (Ed.) (2016). Longitudinal methods for life course research: a comparison of sequence analysis, latent class growth models, and multistate event history models for studying partnership transitions. (ESRC Centre for Population Change Working Papers; No. 78). Southampton, GB: ESRC Centre for Population Change. Perelli-Harris, B., Styrc, M., & McGowan, T. (Ed.) (2016). Re-evaluating the link between marriage and mental well-being: how do early life conditions attenuate differences between cohabitation and marriage? (ESRC Centre for Population Change Working Papers; No. 75). Southampton, GB: University of Southampton. Vitali, A., Fraboni, R., & Mcgowan, T. (Ed.) (2016). Why pool resources in marriage? A study on the choice of matrimonial property regime in Italy. (ESRC Centre for Population Change Working Papers; No. 79). Southampton, GB: ESRC Centre for Population Change. Gayle, V., Connelly, R., Lambert, P., & McGowan, T. (Ed.) (2015). A review of education measures for social research. (ESRC Centre for Population Change Working Papers). Southampton, GB: ESRC Centre for Population Change. Gayle, V., Connelly, R., Lambert, P., & McGowan, T. (Ed.) (2015). A review of ethnicity measures for social research. (ESRC Centre for Population Change Working Papers; No. 66). Southampton, GB: ESRC Centre for Population Change. Gayle, V., Connelly, R., Lambert, P., & McGowan, T. (Ed.) (2015). A review of occupation-based social classifications for social research. (ESRC Centre for Population Change Working Paper Series; No. 60). Southampton, GB: University of Southampton. Osiewalska, B., & McGowan, T. (Ed.) (2015). Couple socioeconomic gender equality and fertility: A Bayesian analysis. (ESRC Centre for Population Change Working Papers; No. 62). Southampton, GB: ESRC Centre for Population Change. Ni Bhrolchain, M., Beaujouan, E., & McGowan, T. (Ed.) (2015). How real are reproductive goals? Uncertainty and the construction of fertility preferences. (ESRC Centre for Population Change Working Papers; No. 73). Southampton, GB: ESRC Centre for Population Change. Szabo, S., Hajra, R., Matthews, Z., Baschieri, A., & McGowan, T. (Ed.) (2015). Inequalities in human well-being in the urban Ganges-Brahmaputra Delta: implications for sustainable development. (ESRC Centre for Population Change Working Papers; No. 67). Southampton, GB: ESRC Centre for Population Change. Packwood, H., Findlay, A., McCollum, D., & McGowan, T. (Ed.) (2015). International study for an international career: a survey of the motivations and aspirations of international students in the UK. (ESRC Centre for Population Change Working Papers; No. 27). Southampton, GB: University of Southampton. Lyons-Amos, M., & McGowan, T. (Ed.) (2015). Multilevel models for cross-national comparisons: the association between individual and national-level demographic characteristics in fertility and partnerships. (ESRC Centre for Population Change Working Papers; No. 71). Southampton, GB: University of Southampton. Findlay, A., McCollum, D., Coulter, R., Gayle, V., & McGowan, T. (Ed.) (2015). New mobilities across the lifecourse: a framework for analysing demographically-linked drivers of migration. (ESRC Centre for Population Change Working Paper Series; No. 59). Southampton, GB: ESRC Centre for Population Change. Schoonbroodt, A., & McGowan, T. (Ed.) (2015). Parental child care during and outside of typical work hours. (ESRC Centre for Population Change Working Papers; No. 70). Southampton, GB: University of Southampton. Graham, E., Sabater, A., & McGowan, T. (Ed.) (2015). Population change and housing across the lifecourse: demographic perspectives, methodological challenges and emerging issues. (ESRC Centre for Population Change Working Papers; No. 64). Southampton, GB: ESRC Centre for Population Change. Szabo, S., Begum, D., Ahmad, S., Matthews, Z., Stretfield, P. K., & McGowan, T. (Ed.) (2015). Scenarios of population change in the coastal ganges Brahmaputra Delta (2011-2051). (ESRC Centre for Population Change Working Paper Series; No. 61). Southampton, GB: ESRC Centre for Population Change. Robards, J., Berrington, A., & McGowan, T. (Ed.) (2015). The fertility of recent migrants to England and Wales: interrelationships between migration and birth timing. (ESRC Centre for Population Change Working Papers; No. 65). Southampton, GB: University of Southampton. Holland, J., & McGowan, T. (Ed.) (2015). The meaning of marriage vis-a-vis childbearing in Europe and the United States. (ESRC Centre for Population Change Working Papers; No. 72). Southampton, GB: University of Southampton. McCollum, D., Tindal, S., Findlay, A., & McGowan, T. (Ed.) (2015). The political economy of immigration policy: the example of Scotland. (ESRC Centre for Population Change Working Paper Series; No. 58). Southampton, GB: ESRC Centre for Population Change. Graham, E., Fiori, F., Feng, Z., McGowan, T. (Ed. ), & Henderson, S. (Ed.) (2015). To downsize or not? Household changes and housing consumption among older adults in Scotland. (ESRC Centre for Population Change Briefing Papers; No. 30). Southampton, GB: University of Southampton. Vitali, A., Billari, F., & McGowan, T. (Ed.) (2014). Changing determinants of low fertility and diffusion: a spatial analysis for Italy. (ESRC Centre for Population Change Working Paper Series; No. 57). Southampton, GB: ESRC Centre for Population Change. Campbell, M., Robards, J., & McGowan, T. (Ed.) (2014). Comparing changing age-specific fertility across the United Kingdom using Lexis diagrams. (ESRC Centre for Population Change Working Paper Series; No. 50). Southampton, GB: ESRC Centre for Population Change. Berrington, A., Tammes, P., Roberts, S., & McGowan, T. (Ed.) (2014). Economic precariousness and living in the parental home in the UK. (ESRC Centre for Population Change Working Paper Series; No. 55). Southampton, GB: ESRC Centre for Population Change. Tindal, S., McCollum, D., Bell, D., Dey, B. (Ed. ), & McGowan, T. (Ed.) (2014). Immigration policy and constitutional change: the perspectives on Scottish employer and industry representatives. (ESRC Centre for Population Change Working Paper Series; No. 44). Southampton, GB: ESRC Centre for Population Change. Packwood, H., Findlay, A., & McGowan, T. (Ed.) (2014). Immigration to Scotland and the constitutional change debate: geography, difference and the question of scale. (ESRC Centre for Population Change Working Paper Series; No. 42). Southampton, GB: ESRC Centre for Population Change. Janet, L., Vernon, G., & McGowan, T. (Ed.) (2014). Moving from lifelong learning to youth employment: higher education in Scotland's colleges. (ESRC Centre for Population Change Working Paper Series; No. 45). Southampton, GB: ESRC Centre for Population Change. Perelli-Harris, B., Lyons-Amos, M., & McGowan, T. (Ed.) (2014). Partnership patterns in the United States and across Europe: "Diverging destinies" or "diverging contexts"? (ESRC Centre for Population Change Working Paper Series; No. 53). Southampton, GB: ESRC Centre for Population Change. Berrington, A., & McGowan, T. (Ed.) (2014). The changing demography of lone parenthood in the UK. (ESRC Centre for Population Change Working Paper Series; No. 48). Southampton, GB: ESRC Centre for Population Change. Tindal, S., Findlay, A., Wright, R., & McGowan, T. (Ed.) (2014). The changing significance of EU and international students' participation in Scottish higher education. (ESRC Centre for Population Change Working Paper Series; No. 49). Southampton, GB: ESRC Centre for Population Change. Gayle, V., Playford, C. J., & McGowan, T. (Ed.) (2014). The concealed middle? An exploration of ordinary young people and school GCSE subject area attainment. (ESRC Centre for Population Change Working Paper; No. 51). Southampton, GB: ESRC Centre for Population Change. Biacaschi, C., Giulietti, C., Siddique, Z., & McGowan, T. (Ed.) (2014). The economic payoff of name Americanization. (ESRC Centre for Population Change Working Paper Series; No. 43). Southampton, GB: ESRC Centre for Population Change. Beaujouan, E., Berrington, A., Lyons-Amos, M., Ni Bhrolchain, M., & McGowan, T. (Ed.) (2014). User guide to the Centre for Population Change GHS database 1979-2009. (ESRC Centre for Population Change Working Paper Series; No. 47). Southampton, GB: ESRC Centre for Population Change. Vitali, A., Aassve, A., Furstenberg, F. F., & McGowan, T. (Ed.) (2014). Wealth inequalities across generations. (ESRC Centre for Population Change Working Paper Series; No. 46). Southampton, GB: University of Southampton. Vitali, A., Mendola, D., & McGowan, T. (Ed.) (2014). Women as main earners in Europe. (ESRC Centre for Population Change Working Paper Series; No. 56). Southampton, GB: University of Southampton. Ni Bhrolchain, M., Beaujouan, E., & McGowan, T. (Ed.) (2013). Education and cohabitation in Britain since the 1970s: an evolving relationship. (ESRC Centre for Population Change Working Papers; No. 33). Southampton, GB: University of Southampton. Gayle, V., Murray, S., Connelly, R., & McGowan, T. (Ed.) (2013). Exploring the ‘middle’: School GCSE attainment and ordinary young people. (ESRC Centre for Population Change Working Papers; No. 39). Southampton, GB: ESRC Centre for Population Change. Findlay, A. M., McCollum, D., Abel, G., Wisniowski, A., Bijak, J., & McGowan, T. (Ed.) (2012). A Delphi survey of immigration to the UK to 2060, with particular reference to environmental mobility. (ESRC Centre for Population Change Working Paper Series; No. 28). Southampton, GB: ESRC Centre for Population Change. Mosca, I., Wright, R., & McGowan, T. (Ed.) (2012). Chasing graduate jobs? (ESRC Centre for Population Change Working Paper; No. 16). Southampton, GB: University of Southampton. McCollum, D., Findlay, A., & McGowan, T. (Ed.) (2012). East-Central European migration to the UK: policy issues and employment circumstances from the perspective of employers and recruitment agencies. (ESRC Centre for Population Change Working Paper Series; No. 20). Southampton, GB: ESRC Centre for Population Change. McCollum, D., Cook, L., Chiroro, C., Platts, A., MacLeod, F., Findlay, A., & McGowan, T. (Ed.) (2012). Spatial, sectoral and temporal trends in A8 migration to the UK 2004-2011. Evidence from the worker registration scheme. (ESRC Centre for Population Change Working Paper; No. 17). Southampton, GB: University of Southampton. Neal, S., & McGowan, T. (Ed.) (2012). The measurement of neonatal mortality: how reliable is Demographic and Household Survey Data? (ESRC Centre for Population Change Working Paper Series; No. 25). Southampton, GB: University of Southampton. Findlay, A. M., Nowok, B., & McGowan, T. (Ed.) (2012). The uneven impact of different life domains on the wellbeing of migrants. (ESRC Centre for Population Change Working Paper Series; No. 26). Southampton, GB: University of Southampton. Waller, L., Berrington, A., Raymer, J., & McGowan, T. (Ed.) (2012). Understanding recent migrant fertility in the United Kingdom. (Centre for Population Change Working Paper; No. 27). Southampton, GB: University of Southampton.